Directions: Slice the kale into medium sized strips. 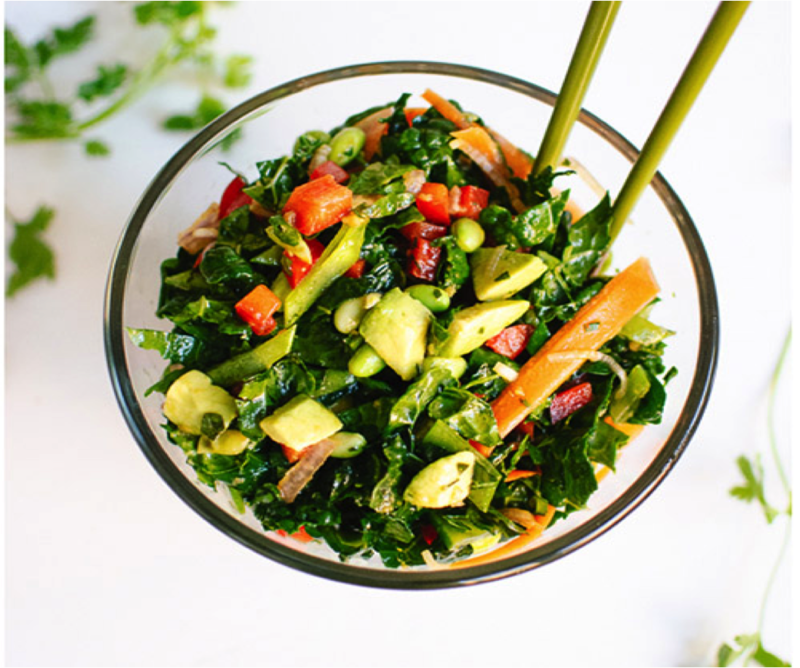 Put the kale in a large bowl, sprinkle a pinch of sea salt and drizzle olive oil over the kale. Massage the leaves with your hands until the leaves are darker in color, tender and fragrant; texture to your liking. Add remaining ingredients, minus dressing, toss gently. Then lightly drizzle dressing over the salad, toss to coat. Directions: Add ingredients in a bowl, mix well or pour in a bottle and shake well.